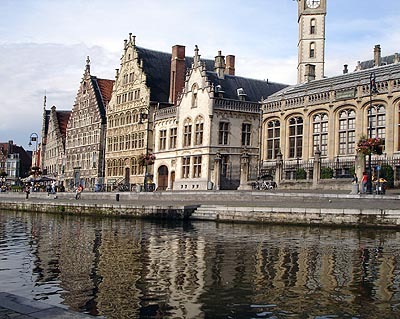 The first day of the conference, Monday July 11, is a public holiday in Flanders (Feest van de Vlaamse Gemeenschap). The Saturday after the conference is the first day of the "Gentse Feesten", a 10-day festival in the centre of the city. During that period, the city is very energetic with lots of (street-)theatre, live music, etc. The program of the festival can be found at www.gentsefeesten.be. If you wish to visit the city quietly, this may not be the most appropriate period. Here a link to a PDF with the Fq 10 Poster. Last changed: January 21, 2011.